When you pull up to the Palmer House Hilton in Chicago, it appears to be just another hotel in the Windy City. 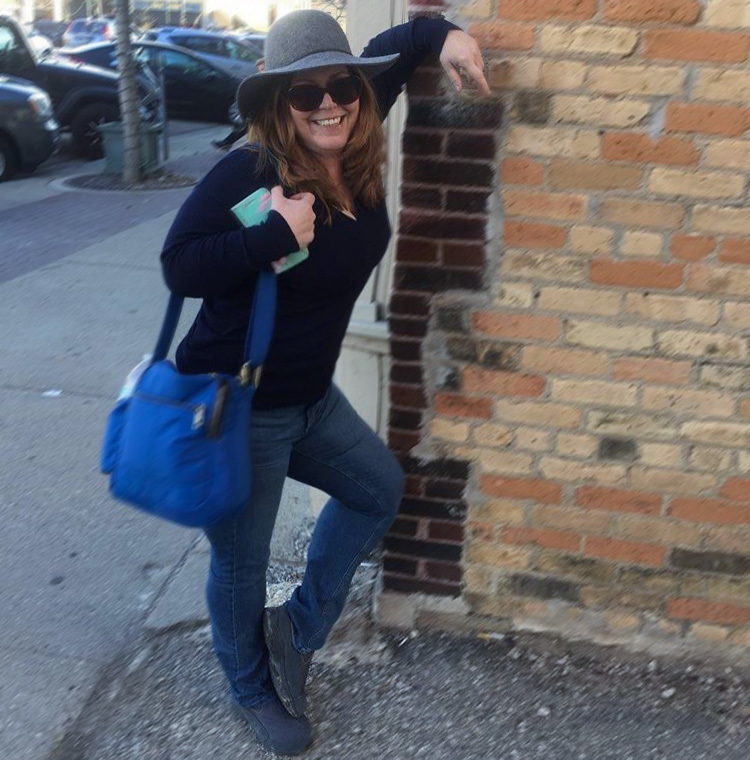 The great location between the shops and museums of Michigan, close proximity to the theater district and Starbucks at the entrance certainly make it seem welcoming, but you can’t really get the full experience until you step into the lobby. I’ve been to beautiful places throughout the world and only a few have made me stop and go, “Wow.” The Palmer House in Chicago is definitely one of those. Even though the influence for this hotel came more from the French than the Italian, the lobby’s painted dome ceiling was nearly as beautiful as the Sistine Chapel and the décor reminded me quite a bit of the Rome Cavalieri Hilton . The lounge area, which includes a bar, was welcoming enough to be the home of conventions, weddings and other social events. 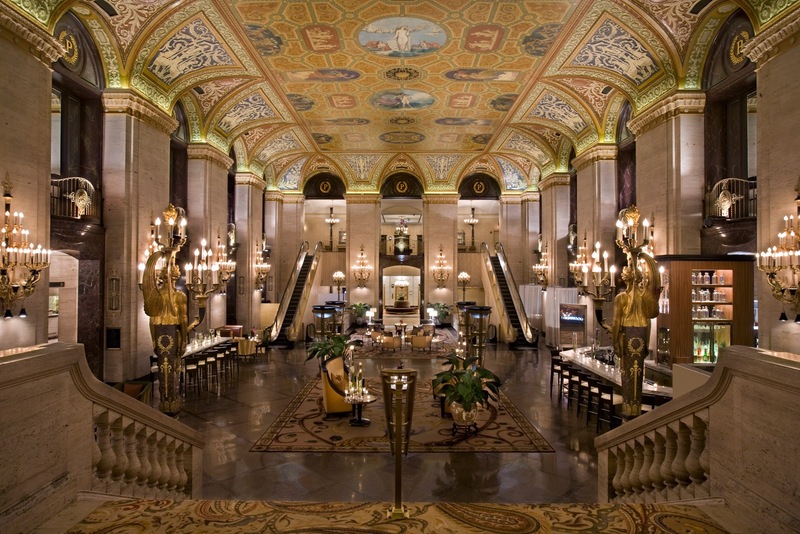 The Palmer House Hilton is more than just a pretty place. 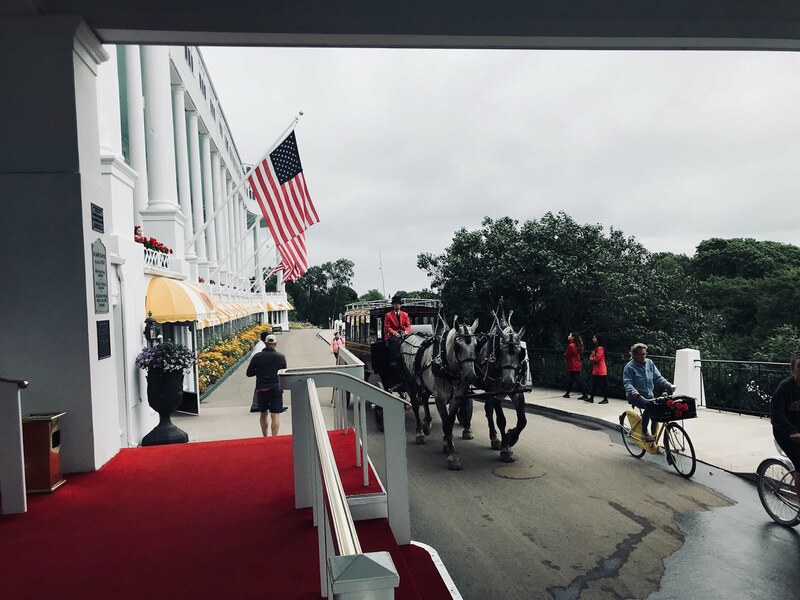 I had the pleasure of a delicious breakfast in the Lockwood Restaurant with Ken Price, Director of Public Relations, who told me all about the romantic history of this hotel. Potter Palmer and his wife Bertha (who had a love story that in itself is quite a tale!) managed to survive the great Chicago fire and a host of setbacks to build the grandest hotel of their time that has stood up against modern day. Along the way it has been home to entertainers like Frank Sinatra , Jerry Lewis , Judy Garland and Ella Fitzgerald , to name just a few of the legends whose voices were heard in the Empire Room and whose pictures now line the walls of the hotel. The rooms at Palmer House are as elegant as the hotel itself, but include modern touches like flat screen televisions and high speed internet. 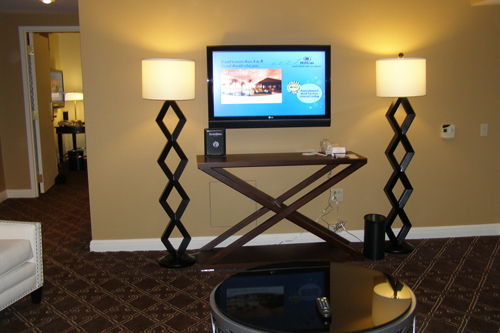 Room service is available with a wide list of menu choices (included full course meals served in your room or suite). The hotel also has a Health Club, Pool and Business Center. and Cucumber, watercress, dill and yogurt on whole wheat. Buttermilk, cranberry orange, fruit bread and Brittany cookie. All of the sandwiches were great and I loved the fact that they were presented on different breads. The scones were served with cream, lemon curd and preserves (I requested raspberry since I’m allergic to strawberry) and they were very tasty. 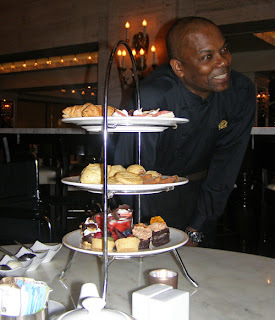 The petite fours were all very good, with the Nun ate a choux (a chocolate filled cream puff) as my favorite. If you aren’t a tea drinker, you can pay a bit more for the Afternoon Tea and substitute Champagne. 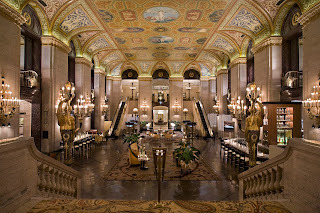 Next time you are looking for an extra special getaway in Chicago, I recommend you start an unforgettable experience at The Palmer House Hilton. Top photo of the Palmer House Lobby courtesy of Hilton Hotels. It's certainly designed to make visitors go "Wow". The entrance is lovely. It makes you feel like you are about to enter somewhere grand. The colors and the type of furnishings they have chosen help to produce that effect. The food they have there doesn't sound too bad either. I would like to try those tea sandwiches.